My own herbal journey started with an ethical dilemma. I was a nurse, with an obsession for health and wellness. Each day I went to work and dutifully fulfilled my obligations to help teach my patients how to heal and live healthier lives. The only problem was, as I studied more about health and wellness, things never quite matched up in the medical field. It seemed like every day I was administering medications that seemed unnecessary, and sometimes even harmful based on the research I was doing on my own. I am not a doctor, I do not diagnose illness nor do I prescribe medicine. I do not know all the things doctors do. I can live as healthily as possible. Eat lots of fruits and veggies. And, I can use herbs in a way that helps keep my family protected and in tip top shape. I wanted to learn more about herbalism, but had no idea where to start. With so many conflicting advice out in the great wide interweb, I needed something reliable, trusted and worth my hard earned money. After much research, I found The Herbal Academy and got the intro course. It was, hands down, one of the best decisions I’ve ever made. Before I go to deep into that though, I want to show you why it’s so important to learn about herbs. Here are a few statistics about our current medical system. Many pharmaceutical drugs act to mask or relieve symptoms and do not actually address the underlying cause of the disease. These are just a few of the most shocking facts. I needed alternatives, so I did what I always do and dove into research. I found article after article of using plants as natural remedies. A new spark was ignited inside me when I found the world of herbal medicine. I wanted to learn more. Doing my own research was great, but i felt disorganized. I wanted a systemic way to learn about using plants as medicine. There is so much information on herbalism and plant-based medicine out there. I needed to find a reliable source to educate myself. It’s actually really hard to find reliable information that has the research and articles to back it up. Since I had heard nothing but good things about them in the online herbal community I jumped in and took the introductory class. It was good for where I was on my herbal journey. It helped me lay a good foundation for my knowledge on herbalism and helped get me started with practical uses I could work into my everyday life from day one. 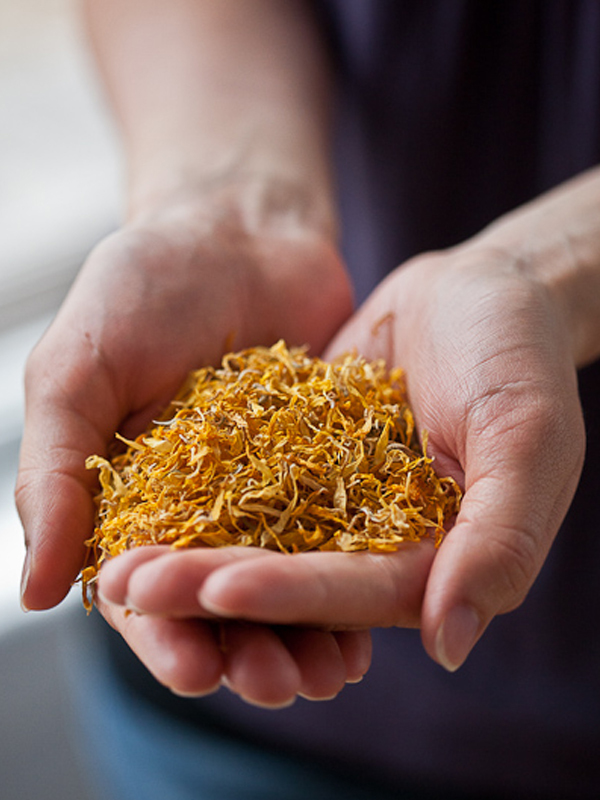 It gave me the skill and confidence I needed to start making herbal recipes and preparations. There are a few recipes I use all-the-time, even years later. Like their three needs tea. This specialty tea blend helps my toddler (and I for that matter) calm down in the evenings. This one may sound a bit silly, but this is an important one that many people don’t consider. 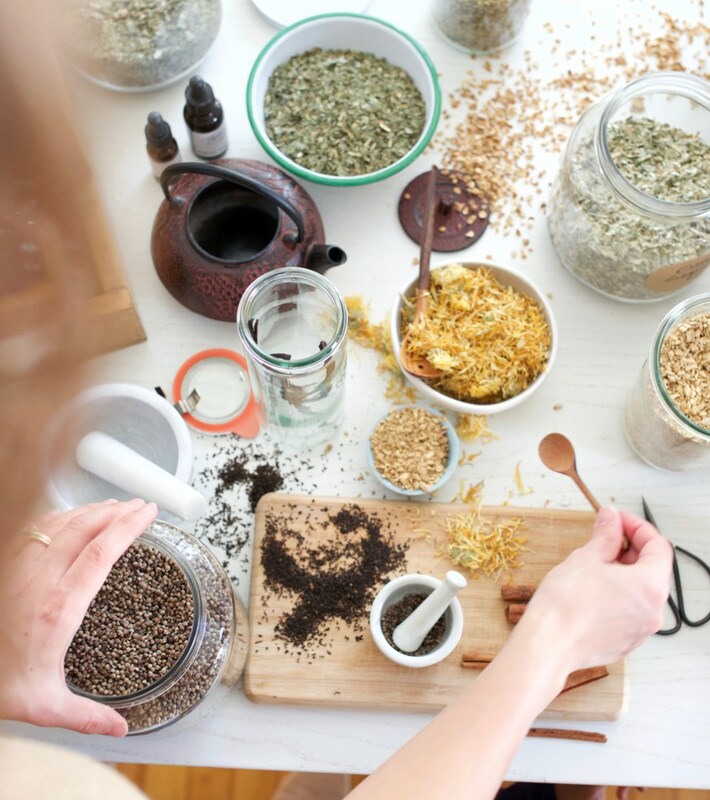 In the world of herbalism, you get people from all walks of life, and of spiritual beliefs. This makes for an amazingly diverse community. But, for me to get the most of my education, I needed a course that respected the power of nature, but also of science, and remained pretty neutral on the religion scale. 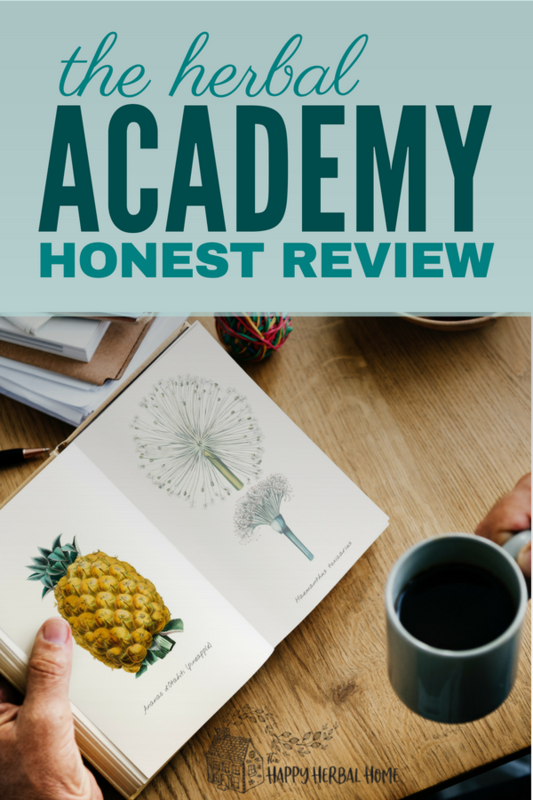 The Herbal Academy has done a fantastic job of providing an education that addresses the physical, emotional and spiritual needs that encompass an individual, without feeling flakey or irrelevant to whats being taught. They also have an active community of beginner and advanced herbalists in their private facebook group. Here students gather together and discuss how things are going for them, what creative ways they are using what they’ve learned and making connections with others who have the same passions. 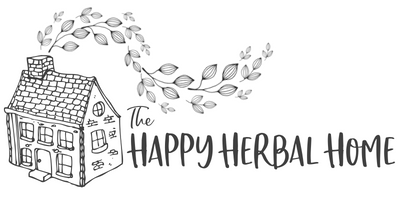 Since my beginnings with The Herbal Academy, I’ve taken four courses through them, and have been very pleased with how it’s helped me grow as an herbalist. The skills and tools I’ve developed have helped me understand on a much deeper level the power plants can have, and ways that I can take care of my family in a way that I feel good about. This education has also motivated me to change my career path to one that I enjoy on a daily basis. You can read more about the details of how their courses are set up below. Even the overall feeling of going through the course is pleasant and gives you that giddy, excited feeling. 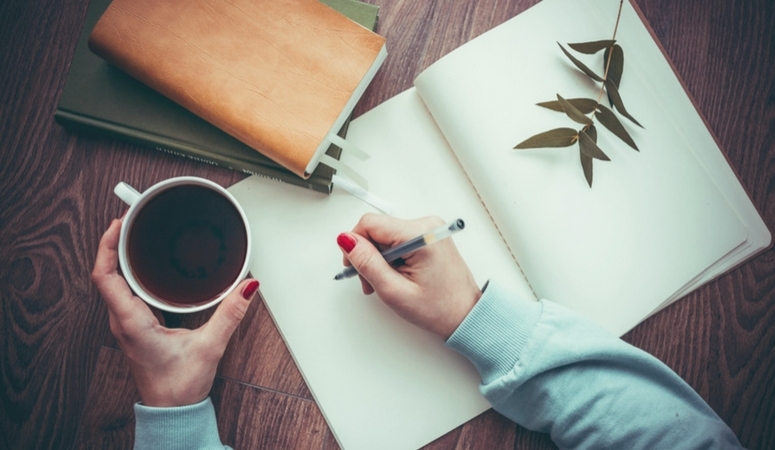 I’ve taken a lot of online classes from a lot of different companies and individuals. This is probably the most visually aesthetic class I’ve ever taken. Each chapter has a simple but elegant layout. I’m currently enrolled in the intermediate course. 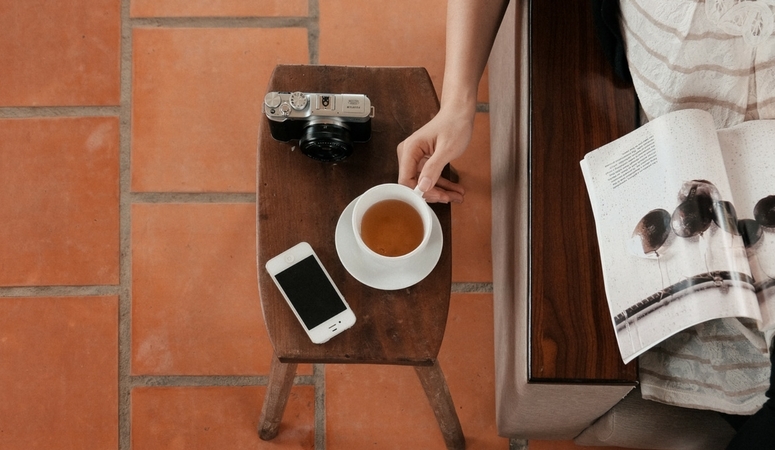 One of my favorite things to do when I actually get a bit of “quiet time” is to pour a cup of herbal tea and immerse myself into my herbal studies. This is a biggie. Sometimes I only have a few minutes in the day to do something for myself. I’m usually chasing a toddler all day and care for an infant too. The fact that I can go from my computer to my phone is a big deal for me. This means when I’m nursing my little one during my toddler’s nap time I get to review some of the things I’ve been learning on my phone and don’t have to be at my desk. All the information found in the course is backed up by research studies, well-known herbalists, and reference materials. I love that at the bottom of each chapter you can find all the resources they used. It’s a great way to learn more about each subject they are teaching. They also have multiple instructors in the course and offer differing points of view, which is important for a well-rounded education. Many of the chapters are set up by body system. This makes it easier to “practice” your craft. For example, one unit is dedicated to the nervous system. There is a lot of information related to anxiety and sleep (among other things of course). These two things in particular though, that have been a struggle in my house. I have been able to apply what I learn directly to myself and my family. I use the recipes for teas, decoctions, and tinctures and it helps calm nerves stop panic attacks and everyone gets a bit more sleep. Here you can take a peek at what each chapter is about in the intermediate course. They offer several different classes depending on your experience level, interests and budget. They offer their introductory class, intermediate class, and advanced herbalist class. These are great for building the basic foundation of herbal knowledge. 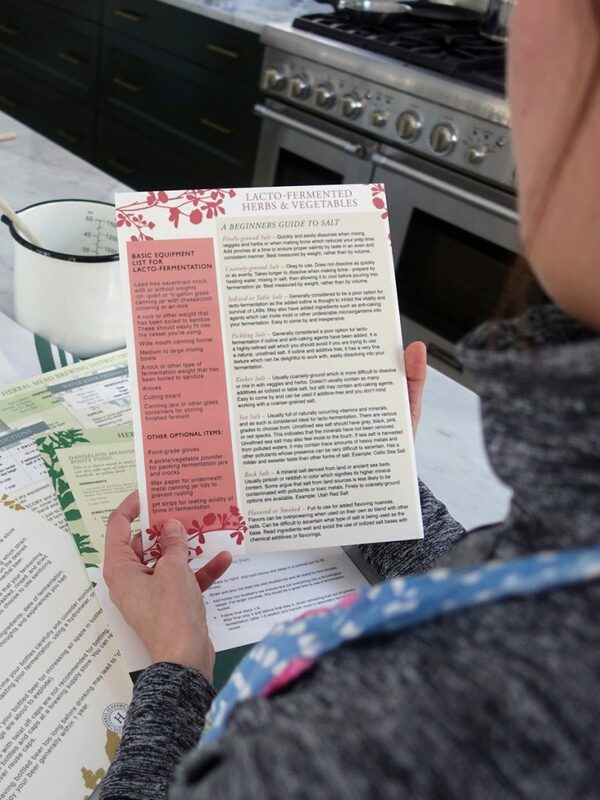 The Herbal Academy also now offer a material medica course and an herbal fermentation course, which are part of their shorter course collection. Each chapter contains useful printouts and resource pages to add to your herbal studies binder. They are well planned out, useful, easy to use and visually pleasing. Honestly, this is one of my favorite parts. I really enjoy beautiful and useful printouts to add to my own herbal studies binder. They offer great discounts for students so that you can jump into the hands-on parts of the course. Currently, they offer a 25% off at bulk herb store. That’s a pretty substantial discount that I personally use often, being that I make pretty large herb purchases regularly. They are also offering various other discounts as well, to a couple other online shops and several magazines. The only thing I don’t like about the course is that once you purchase it, you only have access to it for a set time. Granted that time is 2 years for the intermediate course, and you can download the chapters to your computer as PDFs, and print them to make a beautiful herbal resource book. Which is all great, but I just really do think the course is beautiful and I want access to it forever. Heh. I just don’t do well with goodbyes I guess. Overall I love The Herbal Academy. I get excited about their courses and the information I learn. I also love seeing when a new course comes out that I can add to my infinite to-do list. If you’re looking for an excellent resource for your own herbal studies, I’m sure they would benefit you too. 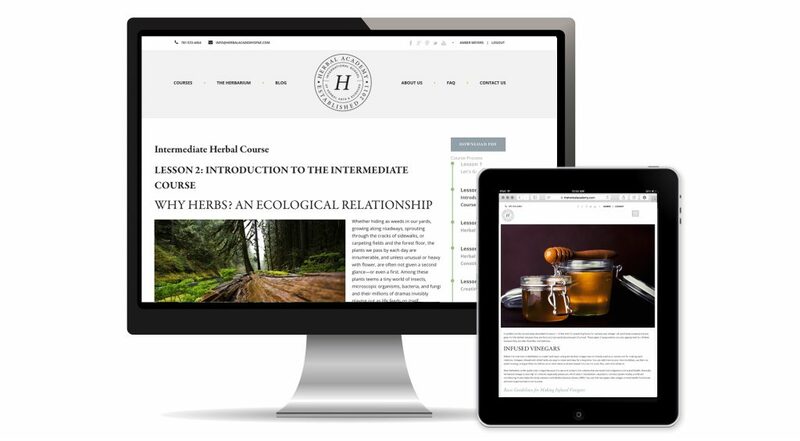 Take a look at The Herbal Academy and see if they have a course that fits your needs. 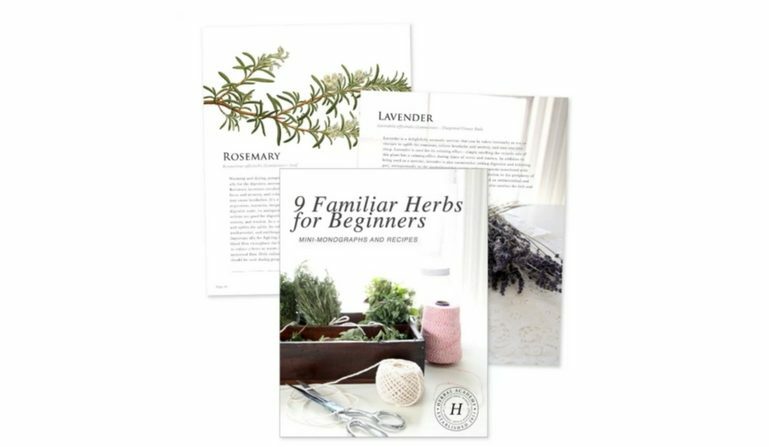 Make sure at the very least you download their free ebook to get you started on learning about herbs! I would love to have a career as an herbalist, but I don’t know how I could support myself financially as a herbalist. Would you share any advice or information you may have on how I could make a living doing what I enjoy? I would appreciate your insight. There are so many opportunities to make a living as an herbalist. You can create your own products and sell them, which the herbal academy has a class on specifically. They teach you to be an entrepreneur in the herbal field. You can also hone your craft and do what I do, and talk online about herbs and herbalism. Or you can become an herbalist with your own practice and help others. There are LOTS of possibilities! I absolutely loved reading this article and it has definitely made me want to jump in with studies, the only this is I’m from the UK and was wondering do you know if the qualifications match those of the UK or how I would find out?? I have tried to search for a similar company in the UK but nothing compares to the United States one!! Kind regards from across the pond! !